A new report from Mastercard confirms the power of mobile technology to improve financial inclusion. 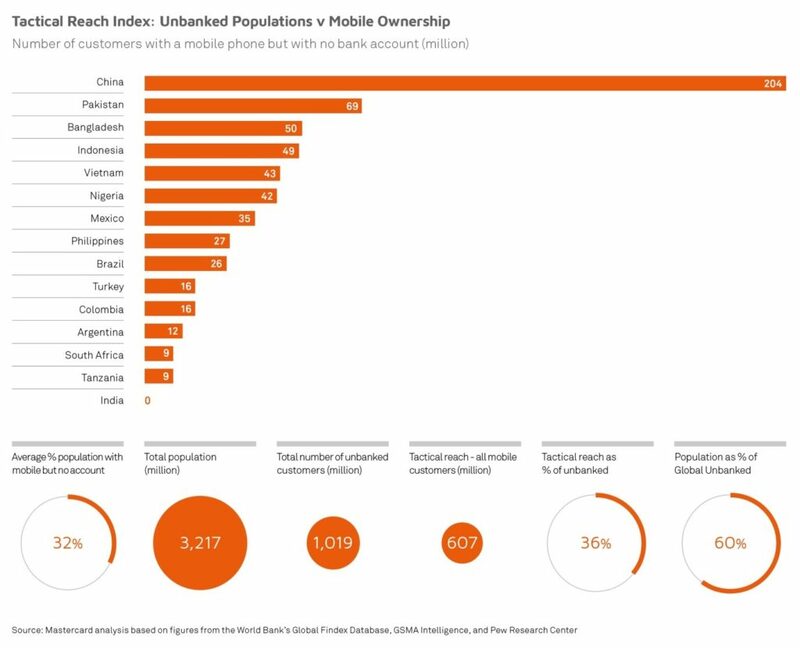 The research shows that 15 countries account for over 60% of the global unbanked population, where 607 million people have a mobile phone, but do not yet have a bank account. Mobile technology could therefore provide them with immediate access to the benefits of financial inclusion. In 14 of these countries, the number of people with a mobile phone outnumbers the number of people with a bank account by several million (rising to 204 million in China). The only exception is India, where more people have a bank account than a mobile phone. However, the report emphasises that simply providing access to financial services is not enough to address financial exclusion. To achieve any real impact, people also need to become active users of financial products. Globally, 20% of people with a bank or mobile money account have not used it for more than a year, and many more people only ever use their account on an occasional basis. In the absence of banking services, or if financial products are rarely used, people inevitably turn to informal providers, such as neighbourhood savings clubs, local money lenders, and unlicensed remittance services. Most people on low incomes tend to be experienced users of these informal financial products, and to have intricate and well-ordered financial lives. However, they do not have legal protection, face significant risks, and may pay more for a vastly inferior product. Another important consideration is a deep gender gap, which could be exacerbated if mobile and digital technologies were to become the predominant delivery channel for financial services. In developing countries, for example, there is already an eight-percentage-point gap in account ownership (67% or men have an account compared to 59% of women). This gap extends to double-digits in many countries, such as Morocco and Peru, and reaches 30% some countries, like Pakistan and Bangladesh. Women are much less likely to have made or received a digital payment, more likely to have used informal financial products, and less able to come up with emergency funds in the face of an emergency. The report, Unravelling the Web, was commissioned by Mastercard and produced by MagnaCarta Communications. 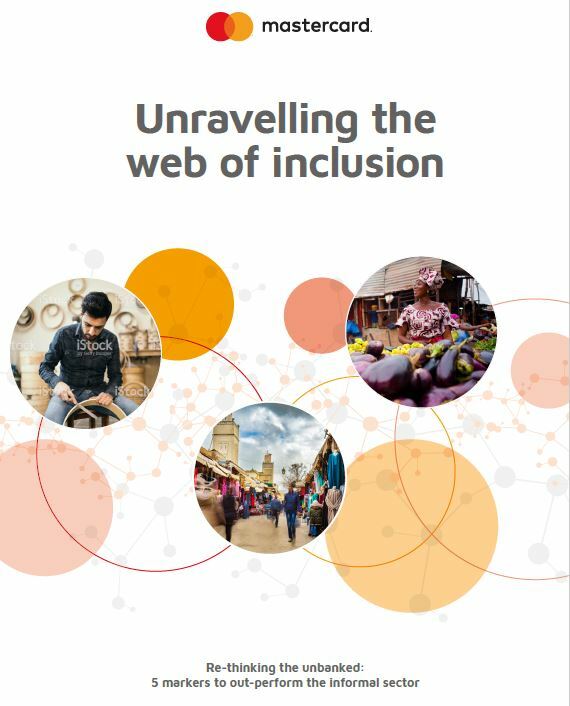 It was launched at the Financial Inclusion Summit in Oslo on 28 March 2019, where speakers included Ann Cairns, Vice-Chairman and President International Market of Mastercard, Greta Bull, CEO of CGAP (World Bank) and James Mwangi, CEO of Equity Bank Kenya.